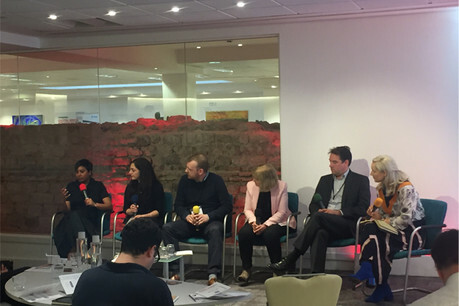 From left: Priya Matadeen, Lydia Mossahebi, Matt Hill, Susie Boone, Brian Glick, Nicola Kemp, speaking at Digital Media Strategies in April 2019. The oft-cited digital age has brought about a number of changes to the ways in which editorial teams work. For one, it has put more pressure on editorial teams to consider if they can do more to affect revenue streams and just how involved they can get in marketing campaigns, creative advertising strategies and sponsored content. It is a blurring line that has seen various publishers embrace commercial partnerships as way to bring in much-needed revenue, but a line that editorial teams must tread carefully as to not jeopardise their integrity. "With trust being at such a premium and in such short supply, how do you protect the editorial integrity of your brand but at the same time create commercial models which can really drive your brand forward," asked Nicola Kemp, trends editor, Campaign, moderating a panel at Digital Media Strategies (2 April 2019). 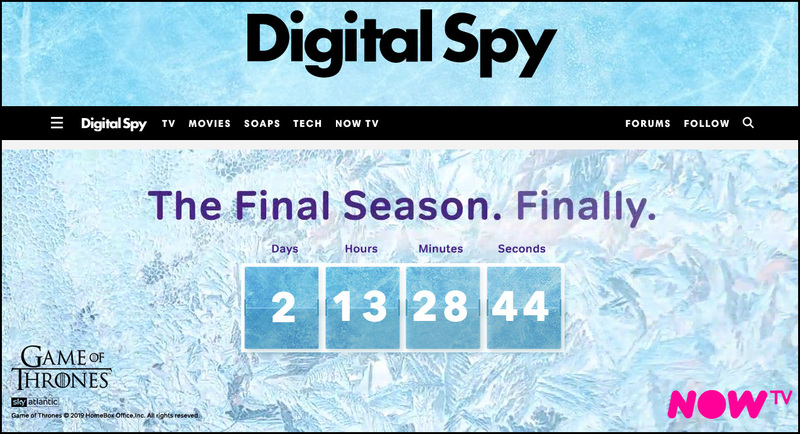 Matt Hill, editor-in-chief for Digital Spy, noted how the entertainment news website has felt the monetary benefit of commercial partnerships with Netflix, Samsung and Now TV. The latter partner is one that has developed into a close working relationship over two years, with homepage takeovers in particular being a key strategy to promote popular TV shows such as Game of Thrones. "I like working with brands over a long period of time because you get to know them, and they get to know you and your operations, and we can evolve together," said Hill. 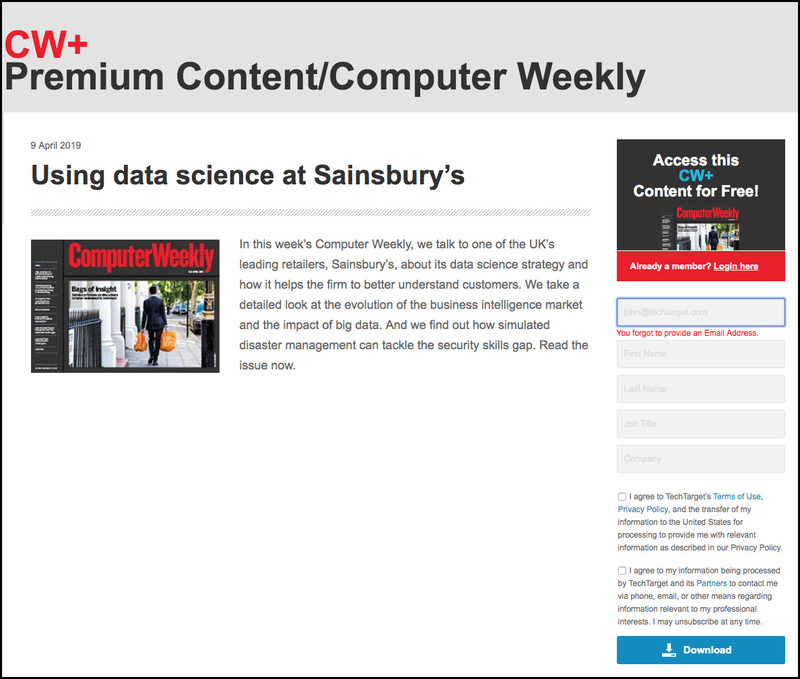 Digital Spy, under the Hearst Media Group, has even created a dedicated metric, Engaged View rates (EVR) originally for branded content, but is now used for editorial content. This shows dwell time as well as scroll depth. Hill said this shows that, across Hearst content, branded content consistently performs better than editorial content under this metric. Its high engagement rate has lead to a dedicated Now TV channel on their homepage menu and a branded content editor on the studio team. "It amplifies content, we have to hit commercial goals for the client in a transparent way. For me, the best example of this are live streams around TV shows, it enabled us to use client spend to amplify the website," he said, noting how they were able to afford a zombie set around The Walking Dead campaign. "That is something that feels completely natural and that’s the way I want it to feel. I feel readers prefer you to be as transparent as possible." That transparency comes in the form of clearly labelling content between ‘sponsored by’, ‘co-branded’ and ‘created for’. Hill also stresses that commercial messaging must be natively mixed in and consistent in tone. That consistency is something general manager, commercial for Dazed Media Priya Matadeen agrees with, adding that she makes partners aware that they are buying into an activist tone publication. "Our relationship with brands has always been collaborative, but we have a very clear view on our values. When we are looking at partners, we have to look at it through that lens. It is case by case but we have internally quite an innate radar for things that feel right for us and things that don’t," explained Matadeen. Being data-driven can help to identify and understand what audiences want from both editorial and branded content, she added. "Dazed beauty audiences want to see different types of beauty content that celebrated identity and self-expression instead of typical." Matadeen also stressed the need to educate commercial partners about lines they cannot cross, particularly in the forums where users can test and review products. She explained how she needed to take a firm approach here. "We have to educate the client every time to say we will not moderate the comments unless they libellous or factually incorrect — whatever they say stays. The brands are really understanding of how powerful that is. Of course, we get really engaged users - these super-users - who just love it," she said. Bryan Glick, editor-in-chief of Computer Weekly, went one further. "We have big clients saying ‘we are spending big money with you, why aren’t you writing more about us?’ I have to talk to our commercial teams about editorial integrity and all these things which journalists have been saying for decades," he explained. At the heart of their commercial strategy is the ability to sell market intelligence to tech companies to understand behavioural information and data analytics, something he notes that his tech-savvy readers are keenly aware of. This is one of the key reasons he said that editorial teams need to manage the messaging and educating clients about what is acceptable. "It’s not just us as editors that have to learn about the blurring Chinese walls, it’s our partners as well. We have a responsibility to help them manage this transition too," he said. "I go out of my way to make sure my editorial team understand the role they play in order to make money, and the importance of what they do and maintaining a wall between them and commercial. Part of my job is educating sales team the role that editorial teams play, so there is mutual education on both sides, which is critical." On some occasions, editorial judgements need to be made, according to Susie Boone, editorial director of madeformums.com, who has rejected campaigns around gambling and bingo. "That wall is shifting, we do as editors have difficult decisions to make. We’ll take it case by case, which advertisers are not right for the brand. We do awards but we have to be clear, we take advertising, but reviews have to be independent. You have to be prepared to jeopardise commercial campaigns otherwise you can’t have a brand," she explained. The user comes before the client and the business model, said Boone, who stressed that editorial voice is the cornerstone of quality content as well as the importance of being data-driven. A good example is a research project which collected qualitative and quantitative data from 28 pregnant women four times a week, which helped to drive both editorial and branded content. "There’s a perfect marriage of data and gut instinct. Editors really understand audiences, and that sweet-spot is insight. Data can just be numbers, but insight attaches people and their behaviour." Lydia Mossahebi, head of editorial for Beano Studios, added that data insights are almost impossible to come by when working with a young target audience, and instead the publisher interviews children to understand their preferences. This in turn informs editorial and commercial partnerships. Mossahebi added that children are not easily duped by advertising. "Kids are very savvy whether they are being sold to, so you have to be careful about who you work with. It needs to feel like good native content," she said. "Honestly, I am getting fantastic editorial written and commissioned which we know will perform well in terms of engagement and search.